Here i am sharing success story of one of our alumni . Working as IP Associate Specialist in Anaqua India in Gurugram. She did M.E. Wireless communication from BITS Mesra. Her M.E. dissertation was based on design of printed micro-strip patch antenna for UMTS and WIMAX communications. The designing starts with simulating rectangular patch and then elliptical patch that covers UMTS and WIMAX band. Thereafter, slotting is done to adjust the antenna at resonating frequency. Frequency bandwidth adjusted and covers UMTS and WIMAX band. All the designs are performed in virtual environment of HFSS. She joined online Job oriented Patent Analyst Training Program in IIPTA. Anaqua, which provides customized intellectual property research and technology consulting services to global corporates, institutions and law firms.,in India on the profile of Process Associate. Under this program she learnt about intellectual property rights, patent searching, IPR law, prior art search, tools of patent searching and many more. In this training program she also learnt about Trademarks and Copyrights. Under this program she learnt about intellectual property rights, patent searching, IPR law, prior art search, tools of patent searching and many more. In this training program he also learnt about Trademarks and Copyrights. 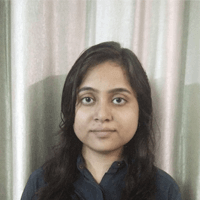 Today she is successfully placed in Anaqua , world’s leading IP Firm on the post of IP Associate with very good salary package and she is performing well at her job.Shristi gives most of the credit of her success to her parents and IIPTA team who always remained very supportive. Her dream is to fulfill her parents expectations. Here’s wishing her all the very best for her future endeavors.